“Great Moments in the Theatre.” Continuation of the Second and Final Chapter: ‘World War II Years 1939-1945 and Beyond’. In 1942 I became a fan of the Ballet through a friend of mine who had just left school to become articled to an accountant in the West End of London. He introduced me to the world of the ballet. 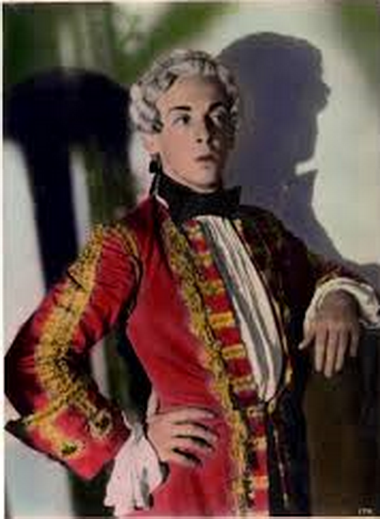 He was a classical music and ballet nut. Because of his job in the West End he was able to put out stools for the gallery at the New Theatre in St. Martins Lane in London whenever he was so inclined. That was where the Sadler’s Wells Ballet Company would play a season or two every year in between touring round England. They would alternate between the Old Vic Company and the Sadler’s Wells Opera Company, so the three different companies were in residence there whenever they were in London. The rest of the year they would tour, bringing happiness and joy to war-torn England. The ticket for a gallery stool cost 6 pence and I think around 50 tickets were sold daily, which meant that if you had a stool ticket then you were guaranteed a seat in the gallery of the theatre. I think that the gallery admittance was 2/6 pence. So when the gallery doors opened the stools would go flying and you paid your money at the gallery entrance and rushed like crazy up the stairs to grab the closest seats in the front row of the gallery. We were all Balletomanes. Really, I think that was the beginning of the Gallery First Nighters’ Club that carried a lot of sway in the Theatre in those days. Hanging there up in the Gods, we anxiously waited with bated breath the appearance of the conductor. 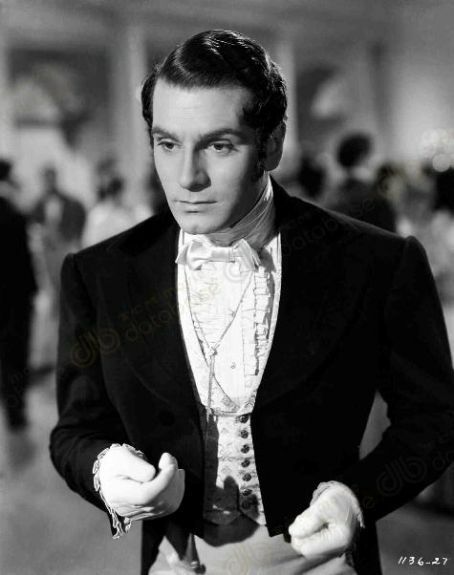 This was usually Constance Lambert who had his own following of fans, but my favourites were the performers, Margot Fonteyn and Robert Helpmann.Then the lights would dim and the overture to whichever ballet which was being performed would begin. It was all so magical and to this day I still love the Ballet. I saw “Swan Lake,” “Coppelia,” “Les Sylphides,” “Facade,” Sleeping Beauty,” “Nutcracker,” “Dante Sonata,” “Giselle” and many more. You name it, I saw it, their complete repertoire, but two ballets which stood out in my mind for drama and excitement were “The Rakes Progress” and “Hamlet.” “The Rakes progress” was choreography by Ninette de Valois, who was the Artistic Director for the Sadlers Wells Ballet Company through the whole of World War II. 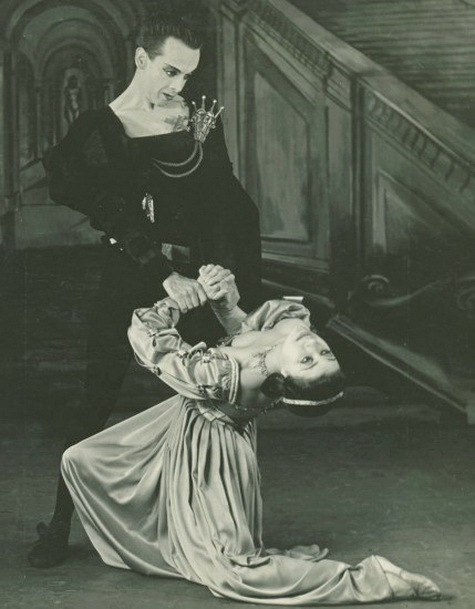 The music was composed by Gavin Gordon and danced by Helpmann and Fonteyn. It was based on a series of pictures by the painter William Hogarth which he called “A Rakes Progress”. The whole production was quite brilliant. 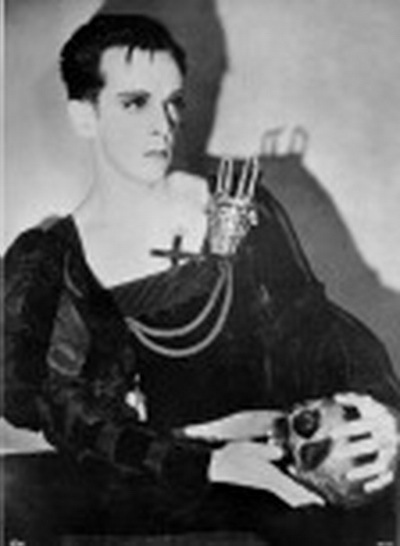 The other production was “Hamlet,” choreographed by Robert Helpmann, who also did the libretto, to the music of Tchaikovsky’s “Fantasy Overture.” Although based on the original Shakespearean tragedy, it doesn’t retell the plot from start to finish. It instead portrays the dying Hamlet reliving crucial moments of his life. The whole story was seen through the mind of the dying Hamlet. 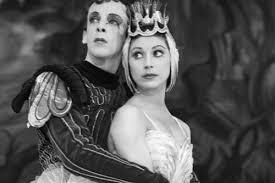 It was a work of genius and brilliantly performed by Helpmann and Fonteyn. A truly great moment in the Theatre. On the lighter side, providing great, great moments over the years, was Intimate Revue. it provided the laughter that was needed so badly in this time of war. With its double entendres and frothy songs, risqué jokes, blackout sketches and whimsical repartee, it was a tonic that was enjoyed by all and sundry, and in those days we needed it. The two great stars of the risqué repartee were Hermione Gingold and Hermione Baddley, who in 1941 were appearing in “Rise Above It” at the Comedy Theatre, which I was lucky enough to see. The more successful the show became, the bigger the rivalry became between Gingold and Baddley, until by the end of the run they swore they would never work together again. Maybe it was their joint penchant for the younger male that didn’t help. Hermione Baddley in artistic pose in “Rise Above It”. “Rise Above It” opened on June 5, 1941 at the Comedy Theatre. It went into a second edition in December, 1941. 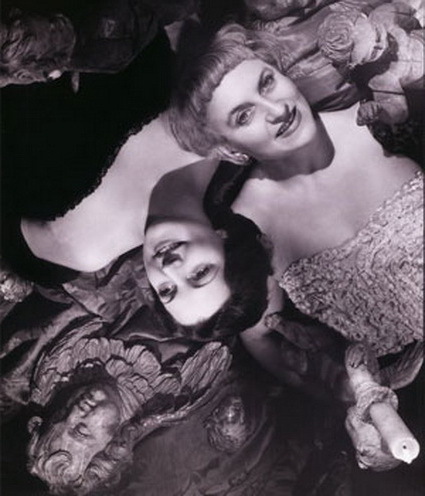 In 1942 Baddley then went on to greener and greater roles in the legitimate theatre and films, whilst Gingold carried on in her favorite métier, revue. Hermione Gingold, now working solo,from Baddley, appeared in “Sky High” at the Pheonix Theatre in June 10, 1942. 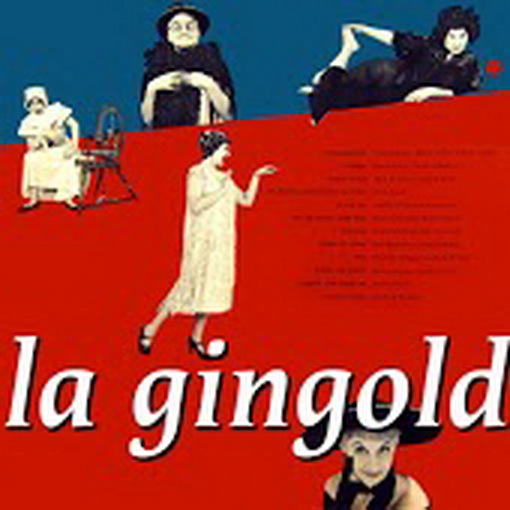 La Gingold, as she became known, had undergone a vocal crisis sometime in the 1930s. She had hitherto described herself as a ‘soprano,’ but nodules on her vocal chords brought a drastic drop in her pitch, about which she once commented, “One morning it was a Mozart ‘Aria’ and the next ‘Old Man River’.” One critic described her voice as “Powdered glass in deep syrup.” Another said,”To watch Miss Gingold’s tongue roll around a familiar name or word and then quietly drop it off with the mud sticking on, is to watch art raising a foible to the stature of a humor.” “No actress commands a more purposeful leer; and in nobody’s mouth do vowels more acidly curdle.” She could make quite the simplest word by the time she had finished with it sound obscene! 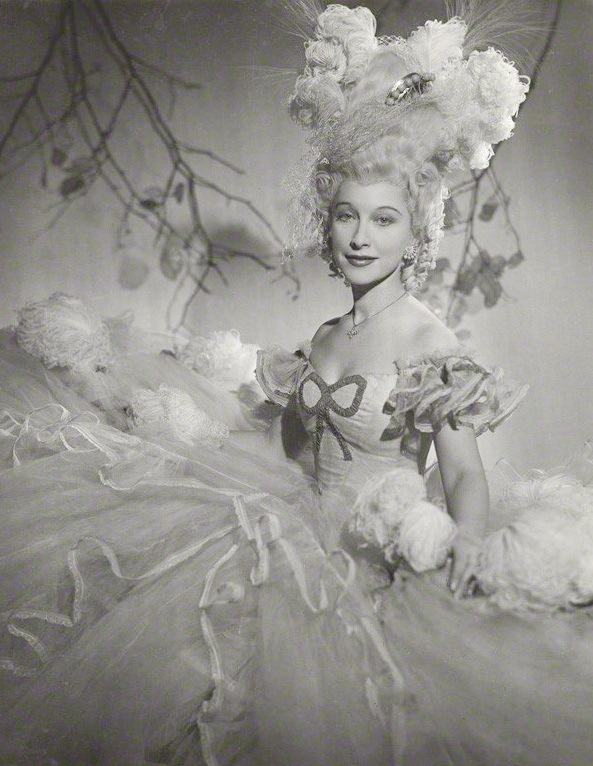 Then came her Tour de Force as a solo comedienne when she opened on June 10, 1943 at the Ambassadors Theatre in “Sweet and Low.” Hermione took the West End by storm in this sharp witted revue of the War Years. Hermione wrote two of her own sketches. “Sweetest and Lowest” opened on May 9, 1946 at the Ambassadors Theatre and was the conclusion of the three “Sweet” revues. 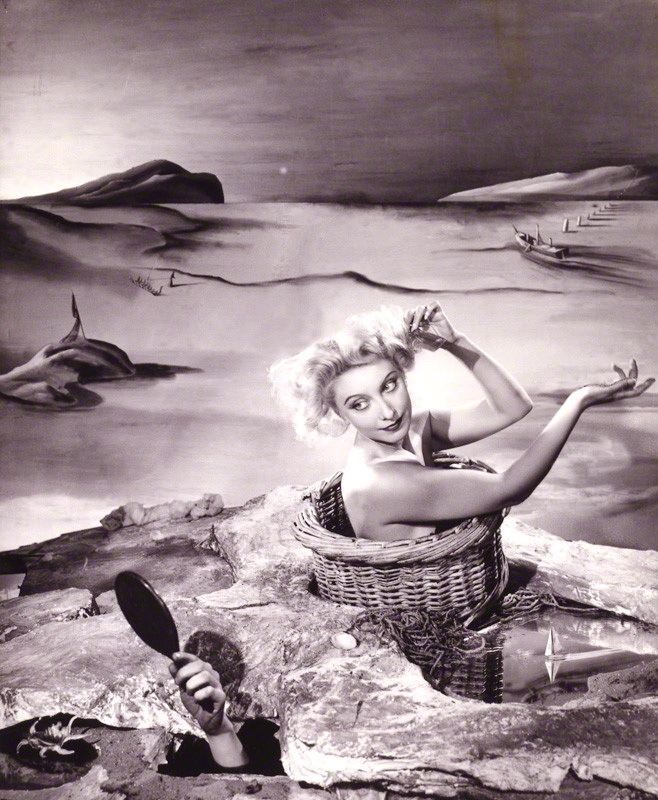 “Slings and Arrows” opened on November 17, 1948, at the Comedy Theatre. Hermione was the co-author of the revue. 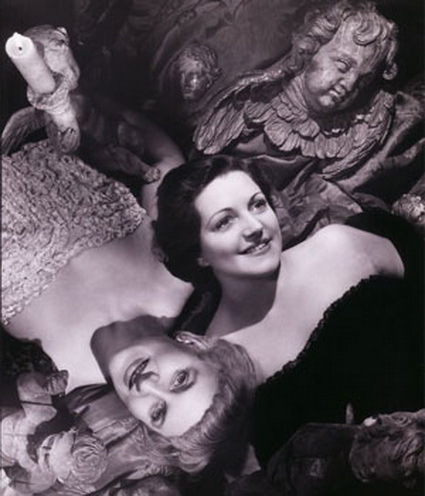 The piece de resistance came when producers Charles Russell and Lance Hamilton persuaded Hermione Gingold and Hermione Baddley to work together again in a Noel Coward double-bill of his plays “Fumed Oak” and “Fallen Angels.” The two bitter rivals were going to work together again! 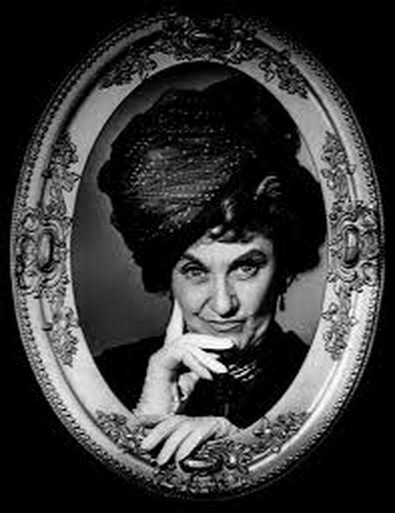 Hermione Baddeley gladly accepted but Hermione Gingold took a lot more persuading. As neither would take second billing, programmes were printed with the photos of one Hermione right-side-up and the other upside down, thus sharing 50-50 billing on posters, programmes, etc. etc. as shown. 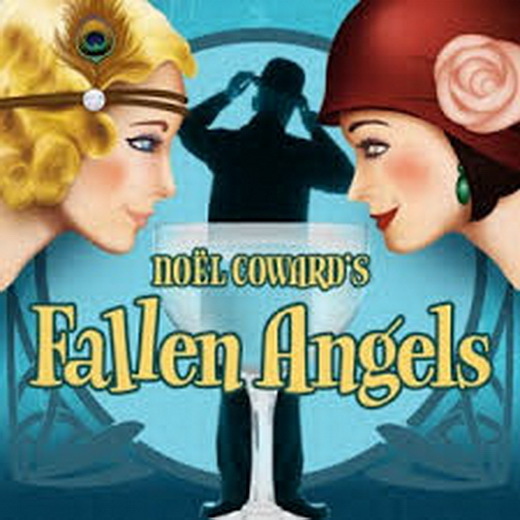 In September 1948 Charles Russell and Lance Hamilton set up a management company to produce a touring revival of Noel Coward’s prewar hit of “Fallen Angels” as a two hander for Gingold and Baddeley playing a pair of jilted women taking uproarious refuge in drink. Coward was not happy with the idea as it was not to his taste or liking of the cast. The two Hermiones upstaged each other mercilessly, introducing all sorts of business, some of it almost obscene, which held up the action, making Coward furious. “I’ve never yet in my long experience in the Theatre, seen a more vulgar, silly, unfunny, disgraceful performance,” he wrote in his diary. He demanded the London opening be cancelled – until Russell pointed out that it would cost him £9,000 to get out of the contract. “Fallen Angels” went on to run for nine months at the Ambassadors Theatre where it was an enormous financial success, much longer than the original version had ever run before. In those days, if a show ran for three months it was a hit! Coward confided in his diary, “LIVID.” But he took the money. 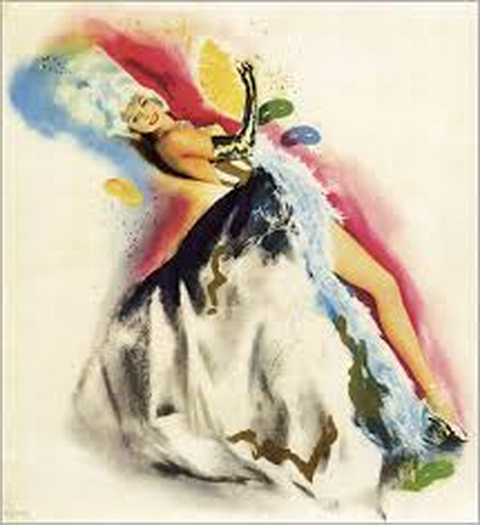 Still on the lighter side, in 1942 Cole Porter’s “Dubarry was a Lady” opened at His Majesty’s Theatre. The leading lady was Frances Day, a beauty from America who lived and worked in England through the whole of World War II. The show was good, but she was stunning, glamorous, vivacious, a real star. When she was in her 60’s, Frances Day still looked stunning; and she would talk about Frances Day as though she was her mother; and she was her daughter Frankie; and believe me she got away with it! That is ‘Show Business’! 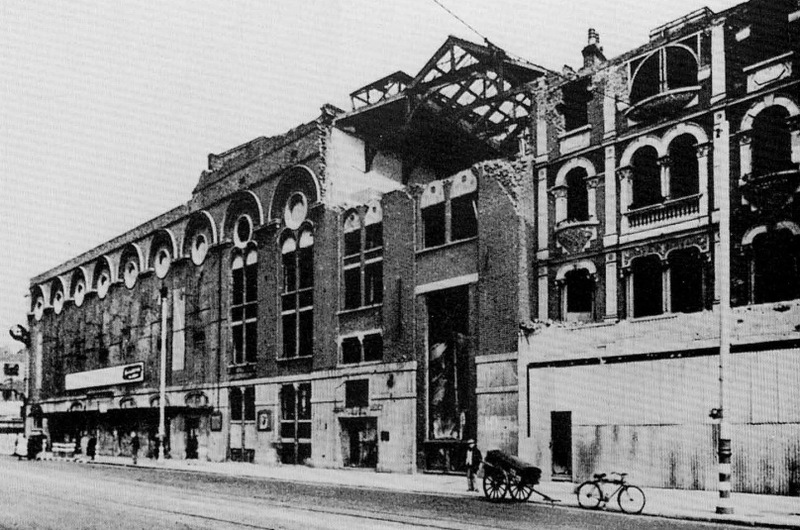 The Old Vic Theatre bombed 1942. 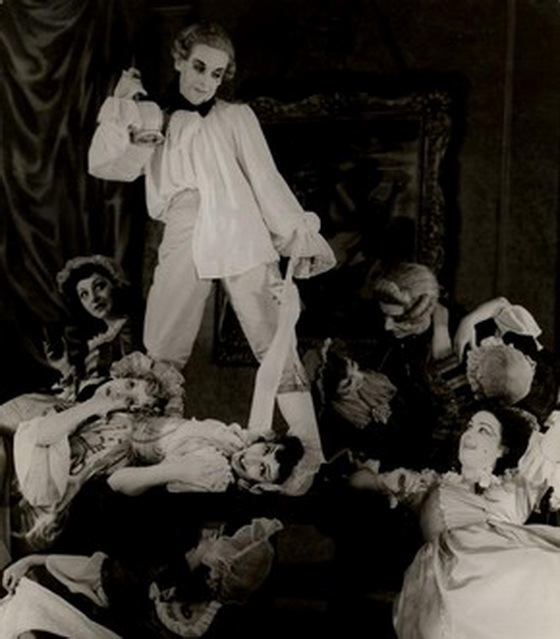 A small troupe toured the provinces, with Sybil Thorndike at its head. 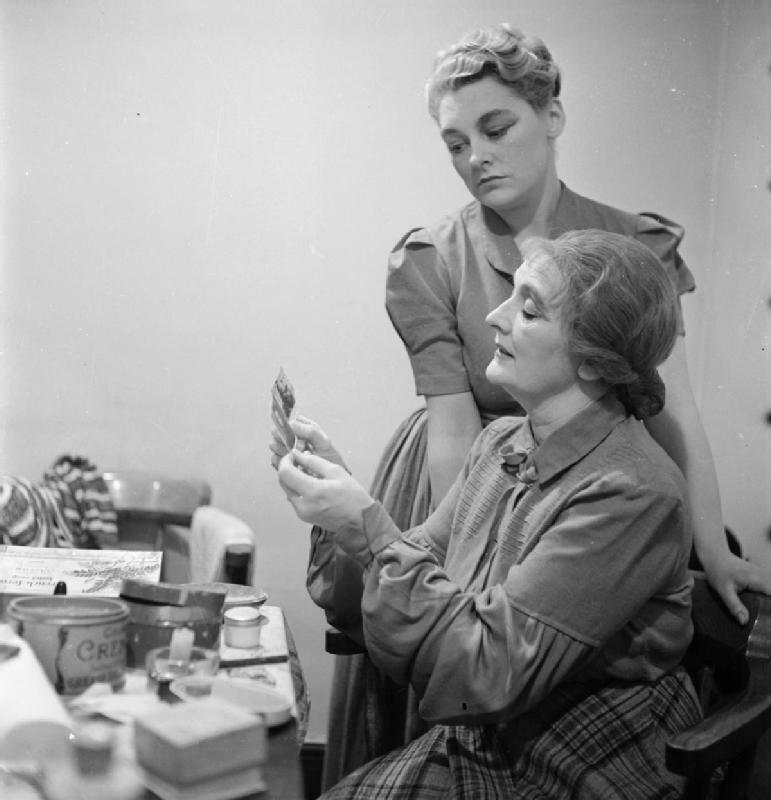 Sybil Thorndike and young actress. The triumvirate secured the New Theatre for their first season and recruited a company. Sybil Thorndike was joined by, among others, Harcourt Williams, Joyce Redman and Margaret Leighton. It was agreed to open with a repertory of four plays: Peer Gynt, Arms and the Man, Richard III and Uncle Vanya. ( I was lucky enough to see each production – from the gallery, of course!). 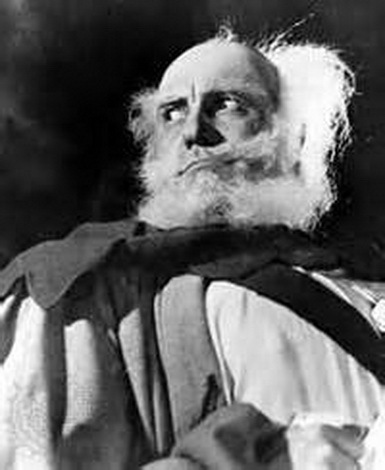 The first three productions met with acclaim from reviewers and audiences, but Uncle Vanya had a mixed reception. 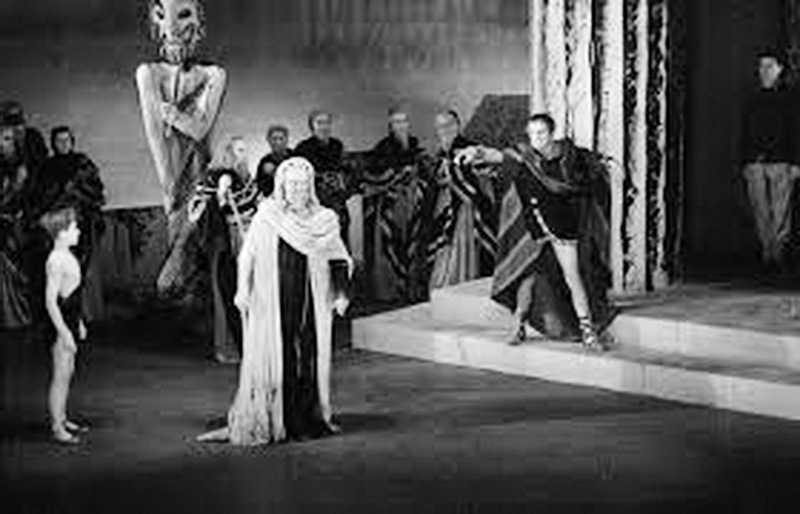 Richardson took the supporting role of Tiresias the blind prophet or seer, who knows that the terrible prophecy of Oedipus has already come true. 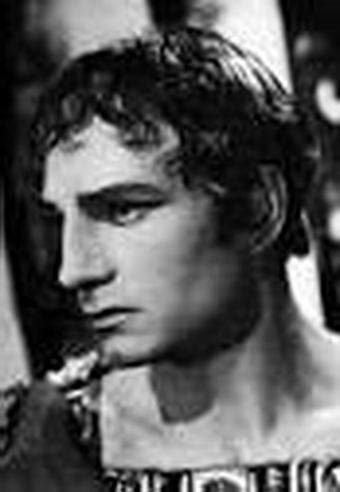 He leaves Oedipus with a riddle that implies, plainly enough for the audience to understand, that Oedipus has killed his own father and married his mother. The young boy who led the blind Tiresias on stage was called Ray Jackson. Little did I know sitting in the gallery that night, that Ray Jackson would become my life partner for 40 years until his death in 1989. That, when I think about it, was the “Greatest Moment for me in the Theatre”.